The following reviews are more than precious to me. 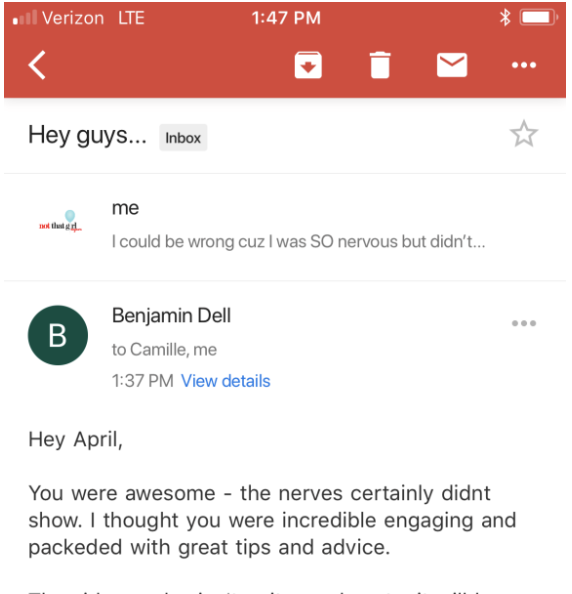 These students and clients were willing to do what others weren't... take action to make their goals a reality. Not only are they motivated, but I look to them as the next wave of thought leaders in our online service community. 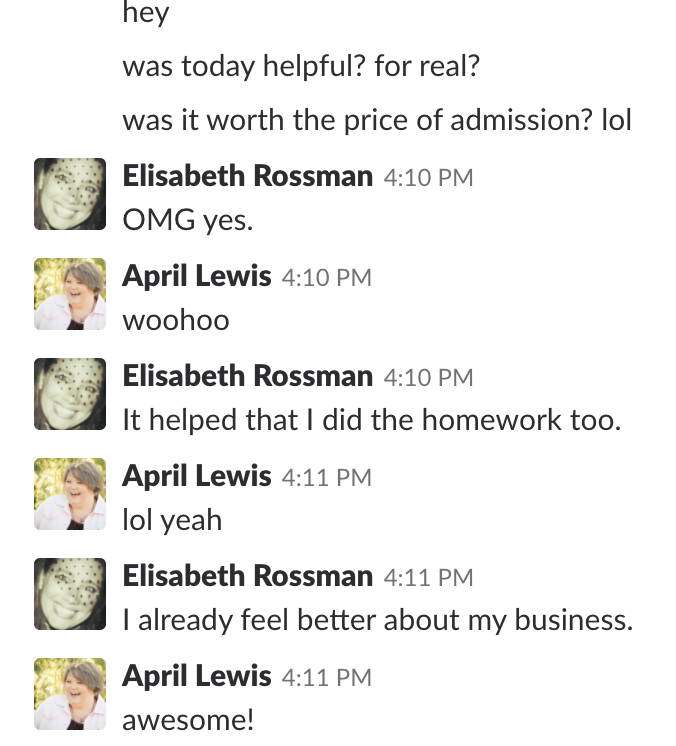 Their continued support and faith in my expertise motivates and humbles me every day. Take a look below and see what's in store for you when you take that action leap of faith to make your dreams a reality today. I’ve been running a business since 2012 with my primary source of income being affiliate income. I’ve been wanting to expand in a big way but have been overwhelmed and confused about HOW to do so. Then I met April… You know when you get that magical feeling? The one that gives you goosebumps? 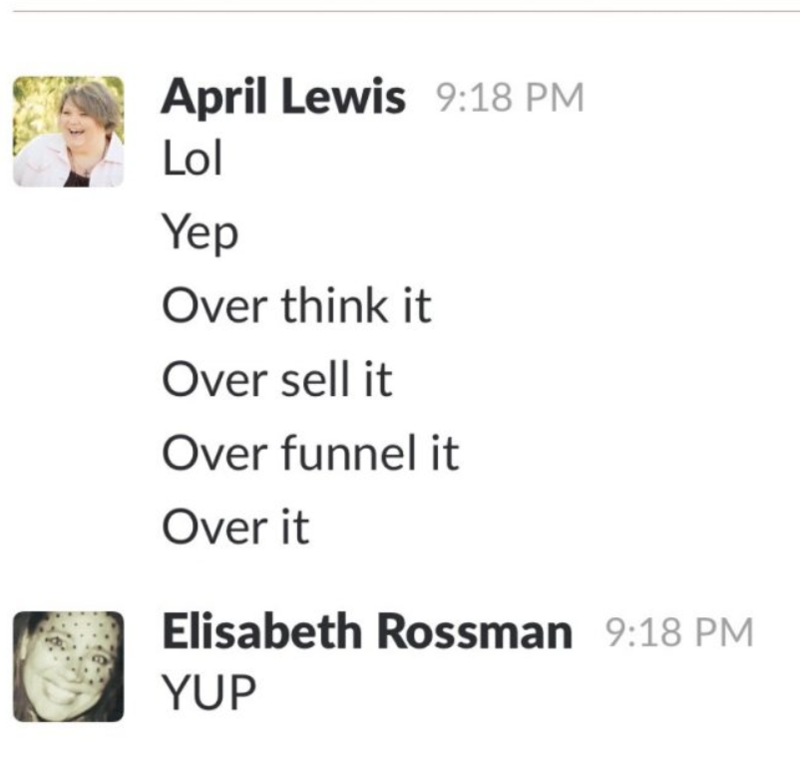 Yeah, that’s what happened on my call with April! 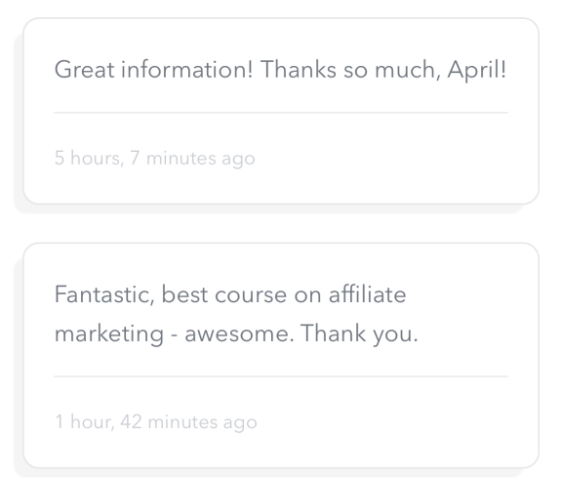 In one hour, April helped me map out an ENTIRE affiliate structure which will bring me FIVE new streams of income, layering it all together beautifully! Her brain is freaking amazing and she is definitely not afraid to get into the nitty-gritty with you (which is sooooo rare in a coach!). 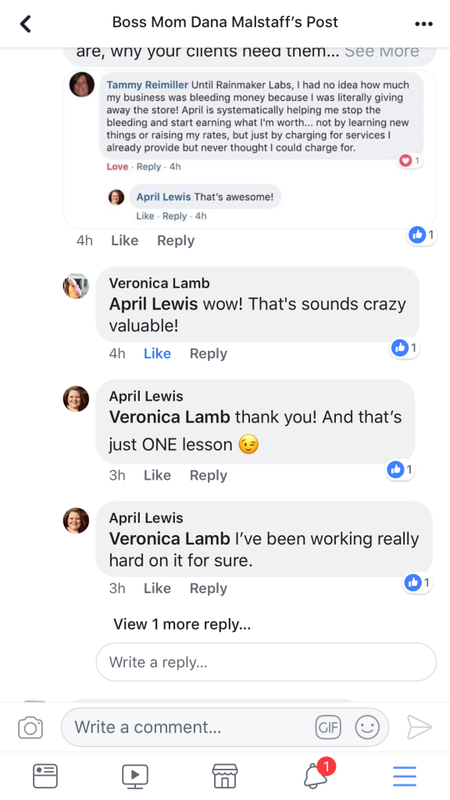 Not only is working with April incredible, the Affiliate Marketing for Beginner’s Course she shared with me opened my eyes to a whole NEW way of earning affiliate income – as in, things I’ve never even thought to try! I went over the course materials twice and things started to “click”. One day, I was typing up a new blog post and I had an Aha moment! All of a sudden, the things I learned made sense. TONS of ideas about how I could branch off of this ONE blog post to bring in yet ANOTHER source of affiliate income came flooding into my mind! That’s the thing about April… sure, she’ll sit there and help you catch fish, but she’ll also TEACH you how to catch those fish YOURSELF. 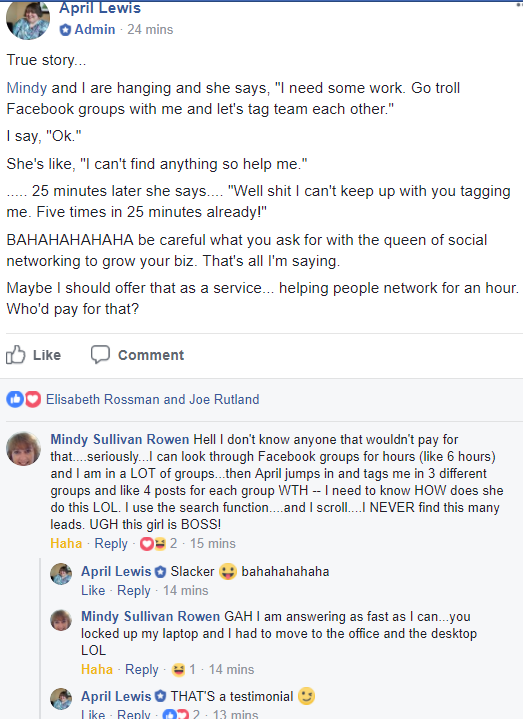 With utter sincerity, I feel that, if you are looking to expand your affiliate income, April is your girl! I’ve spent over $60K on sub-par business education from “gurus”. April is different. She’s the real deal and gives a lot of value. Absolutely worth the investment! Plus she’s SUPER ethical and plain ole’ fun to work with! Let go of the clients that I did not enjoy working with and able to choose the type of clients I wanted to work with. I went from making $1800 to $4,500 consistently. 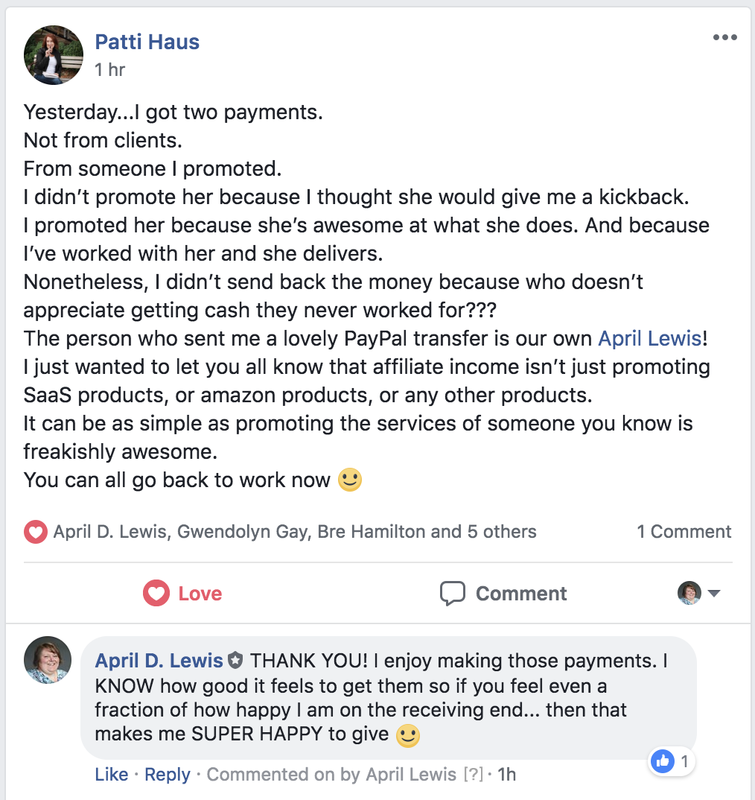 I could go on and on, but the biggest joy I got from working with April is that she cared as much about my business as I did. That's how I am with my clients, and she was the exact same with me. When someone celebrates your WIN as if it is theirs, you know you're in good hands. 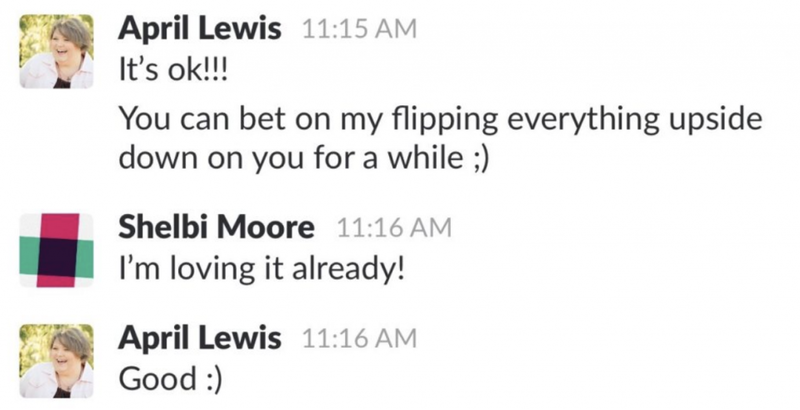 Next step for us, Passive Income!! April was friendly, knowledgeable and gave honest opinions. She's awesome at meeting people where they're at in the process, so it was fun & empowering to talk with her. April is great with people. She's very authentic and that goes a long way in helping customers let their guard down and ask real questions. 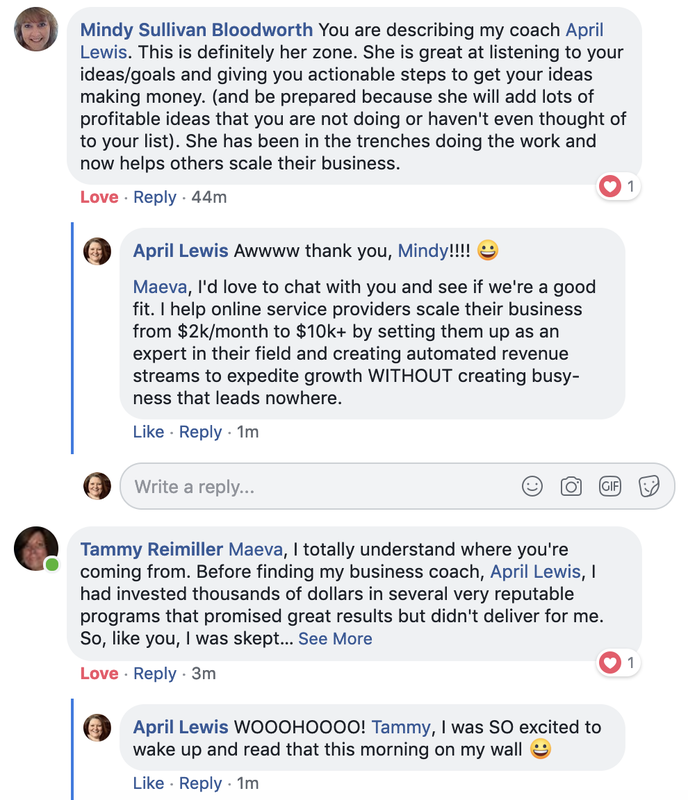 My success won’t be for lack of tools and ideas that April has helped me collect, I can tell you that much! She goes above and beyond with the amount of energy she puts into her clients, following up and helping you stay on track and focused on your end-goals, while keeping a healthy dose of accountability in place. 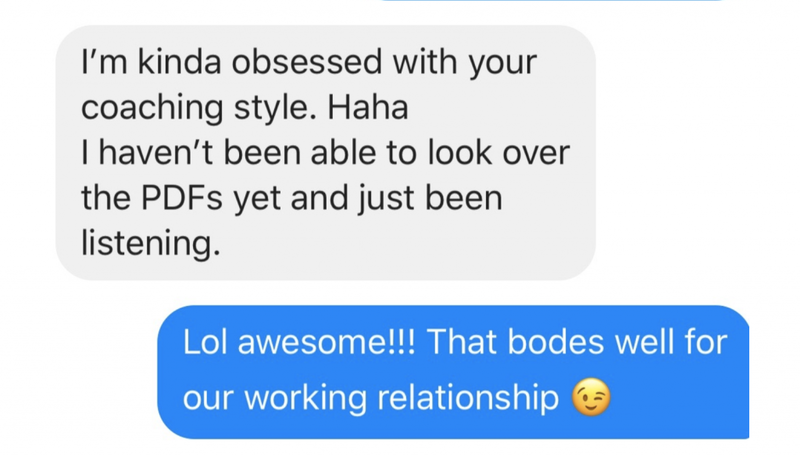 She has helped me develop unique strategies in my own business that are personalized for my brand and my business goals, including blog post topics, cornerstone content, overall monthly themes, content upgrades, Facebook Live topics, affiliate partnerships, and groups to connect in. I am grateful to have such a strong foundation underneath me thanks to her coaching - and such a strong supporter of my success! 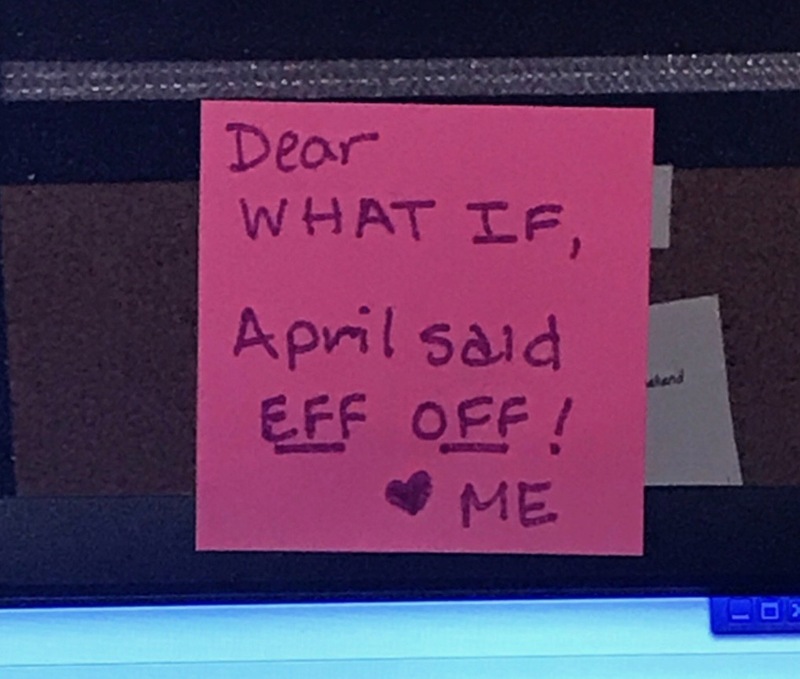 April is amazing! I literally can't say enough wonderful things about her - she's a mentor, a coach, a friend and she honest-to-goodness wants all her students to succeed! 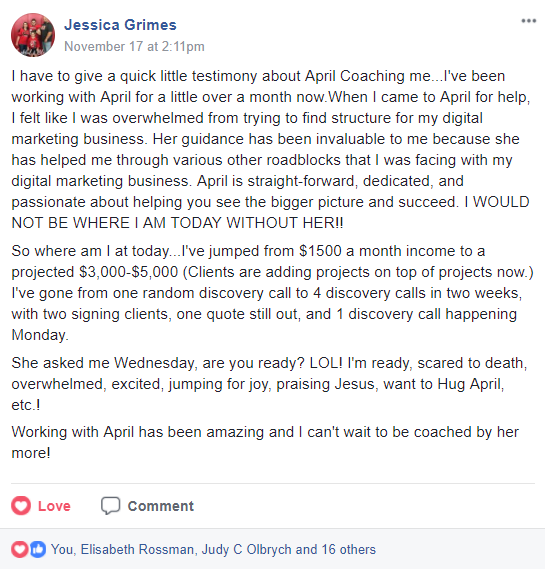 I've been working with April for a few weeks and her affiliate strategy has helped me come up with a clear plan for moving forward and I'm actually getting work done ON MY BUSINESS! 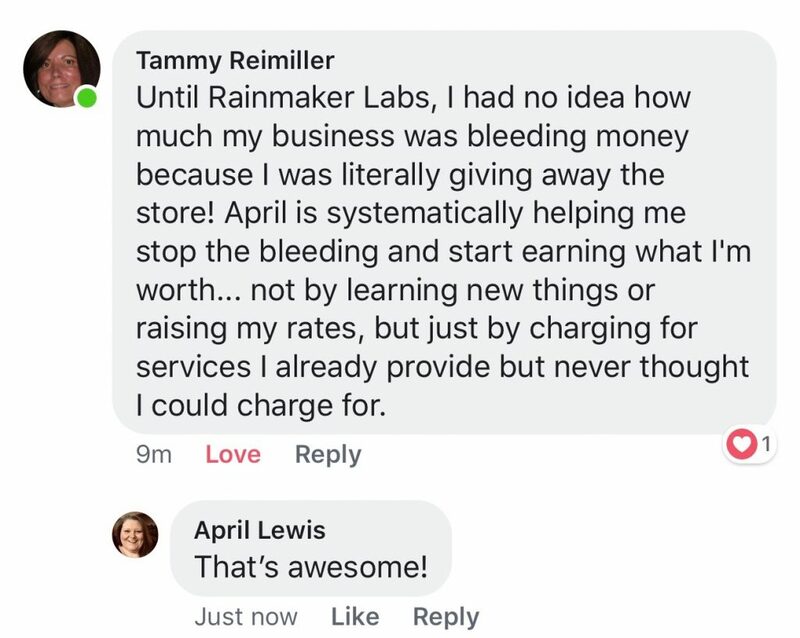 Invest in yourself...invest in your business...invest in April! 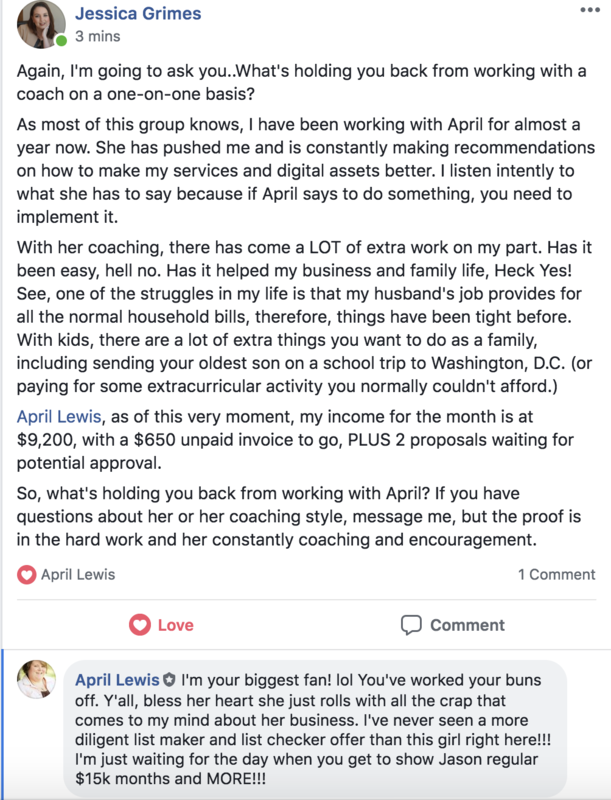 Working with April has given me and my business the focus we have needed! 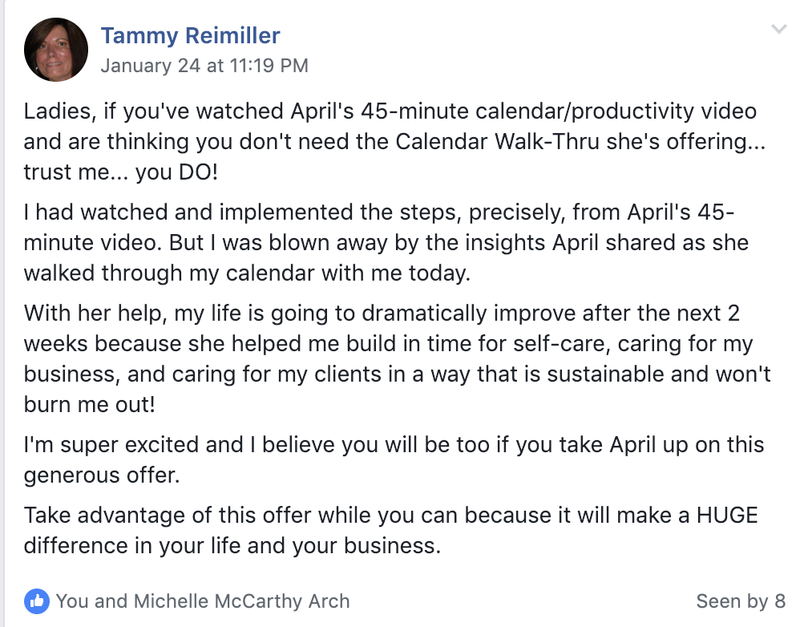 April has a gift for seeing exactly what I need to do in order to move my business forward. I am so grateful to have her as a coach, mentor, and friend! 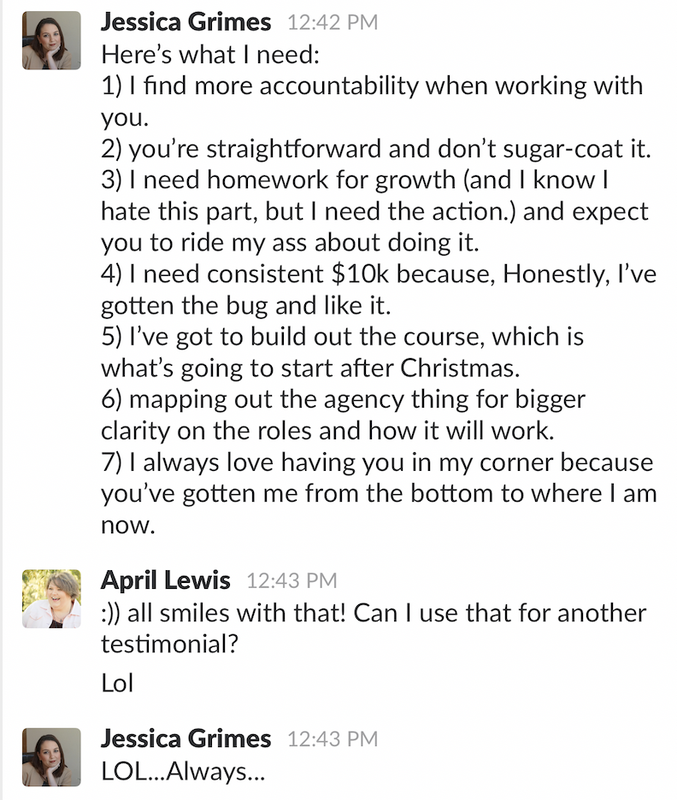 April has been my mastermind coach for almost a month. 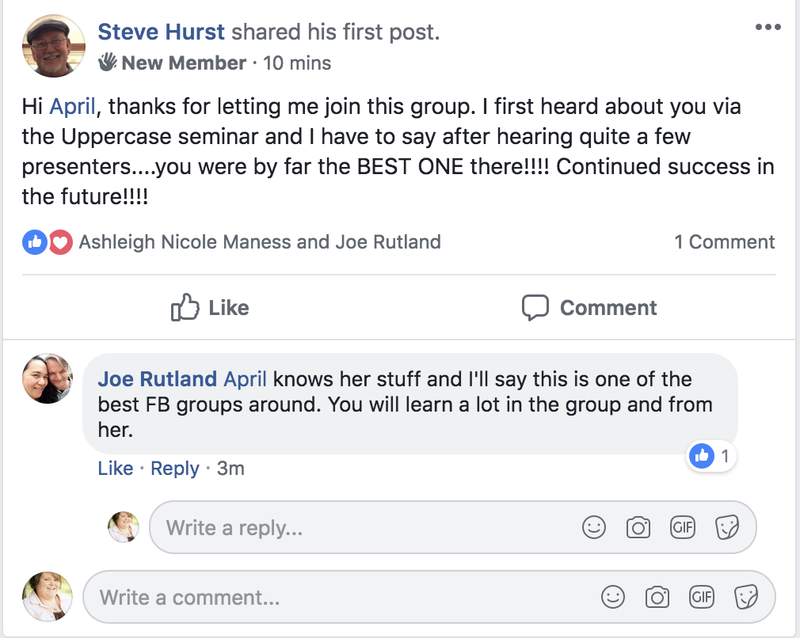 In that time, she helped me create a fantastic lead magnet that not only helps me increase my email list, but that also gets me affiliate income. 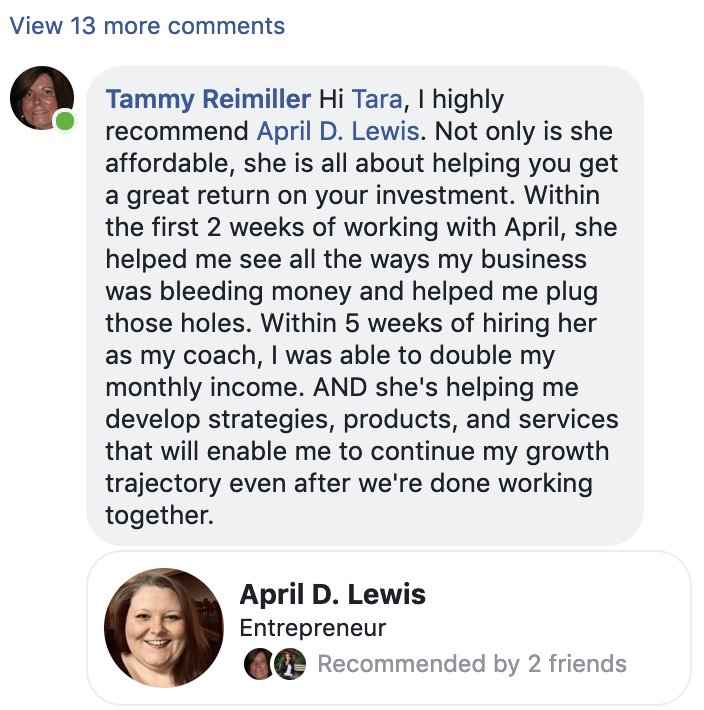 April gave me strategic and actionable steps to help me scale my business, increase passive income, and develop a plan for the future of my business. 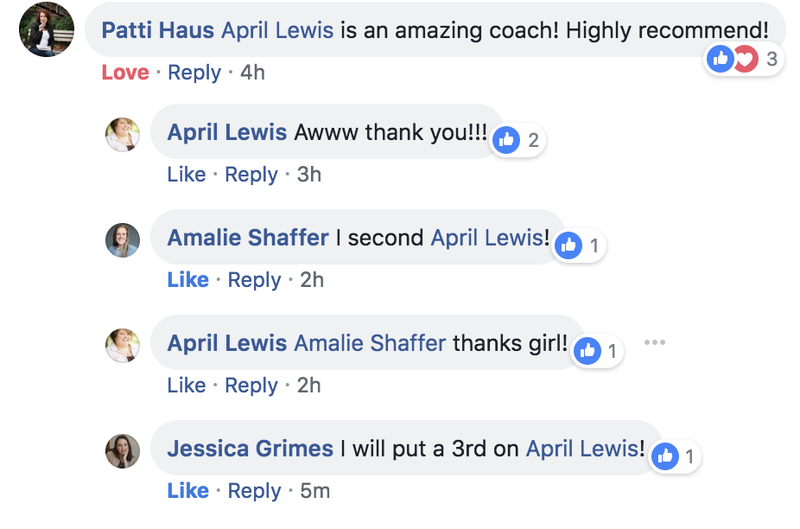 I highly recommend April as a coach! I had just started out on my quest for learning all about internet marketing and influencing. While joining some groups, I started to pay extra attention to a few veterans in the industry. 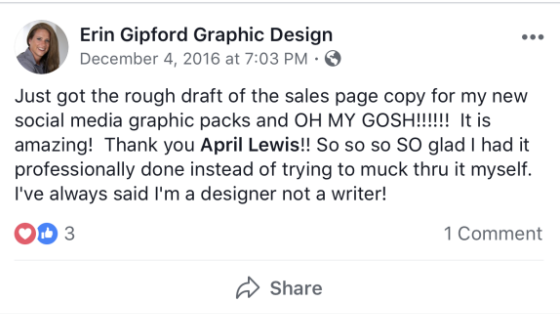 After some back and forth with several of them, I felt it in my gut that April Lewis was the one for me... the one that I wanted as a mentor. My investment for having April as my coach is so well worth it. As a noob, and for not being tech savvy at all, April has taught me a ton so far. 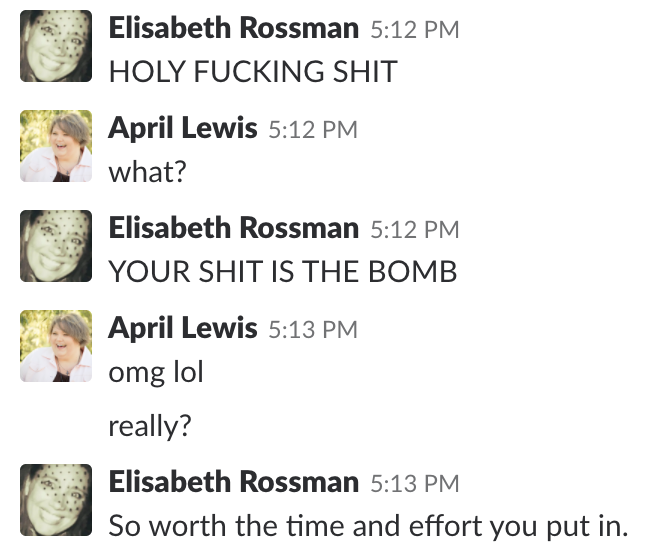 April, is always so responsive, and so supportive. She never made me feel as if I was a bother with my million and one questions, she always gets back to me so quickly, she is patient, and she knows her stuff. The value and content that I have received from April has been awesome, and I look forward to a long relationship with this amazing lady.